Yeah those Timney triggers sound great. Kept the stock trigger on my 700 I bought new in 83 so far. Pull pretty decent but am considering a change. I installed a Timney Calvin Elite, 8 oz trigger in my old 1970 vintage Varmint Special. Much better than the old factory trigger. I have not had a chance to actually shoot it yet due to work and wet weather conflicts. If you prefer a 2-stage trigger, try the Timney Calvin Elite 2-stage. Mine came from the factory with a crisp, 1.5lb, break. Just purchased a Triggertech Primary 1.5-4lbs drop-in for my 700. Had an accidental discharge with the original XMP trigger nearly 2 years ago. Consequently, the 700 has been shelved since; I don’t trust it to do much of anything with it. Anyway, just curious if you have any feedback on the Triggertech you installed? My VTR came with the X-Mark Pro. It took some getting used to, but I really love le it. Installed the Triggertech trigger today. Trigger is set to 2.75lbs...feels really nice and light compared to the XMP, I should say that the XMP in my 700 was indeed the one under recall. But, as advertised with the Triggertech there is Zero Creep...absolutely no take up on the trigger at all. I'll post up after I get a chance to take a few shots with it. Had a chance to take a few shots the other day. The Triggertech is really sweet. It's super clean with a nice, light break. The scope needs some tuning yet and had a few fliers out of the clean bore. Was only shooting out to about 100-120yds. But she's been stored for the last two years...must have taken a few bumps here and there. The rifle seemed to prefer the cheaper Winchester ammo....so I like that! (It works for my Scottish nature...lol) If memory serves, she seemed to be pretty consistent with the Federal Power-Shok's as well. But it's been so long now that I'll have to run some downrange to be sure. It's not a tack driver at this moment but it will certainly do for hunting deer or moose this season. 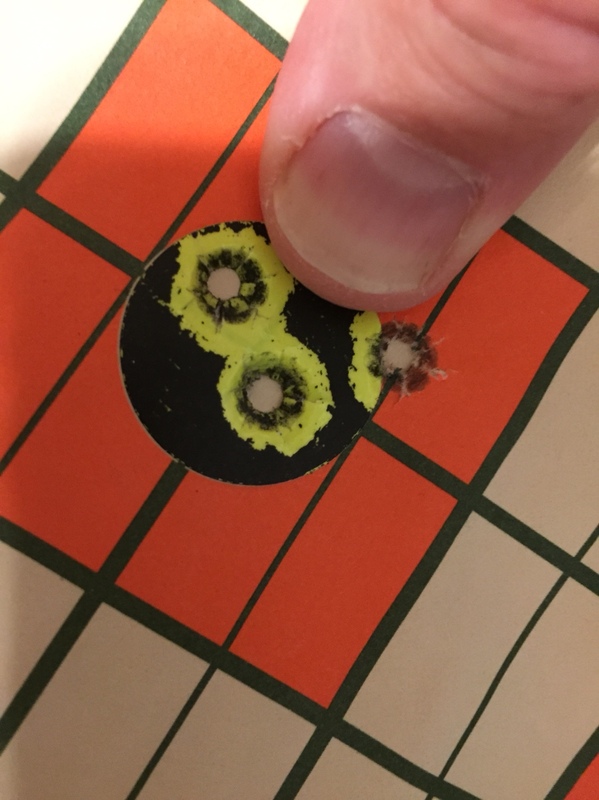 I'll try to get another bunch of groups downrange before going out, however the bulk of the areas I hunt don't offer many long range opportunities anyway. It's a challenge to find 200-300yd places to practice. Coastal mountains and lots o' bush...definitely not a sniper's paradise.